So, cut to the chase. 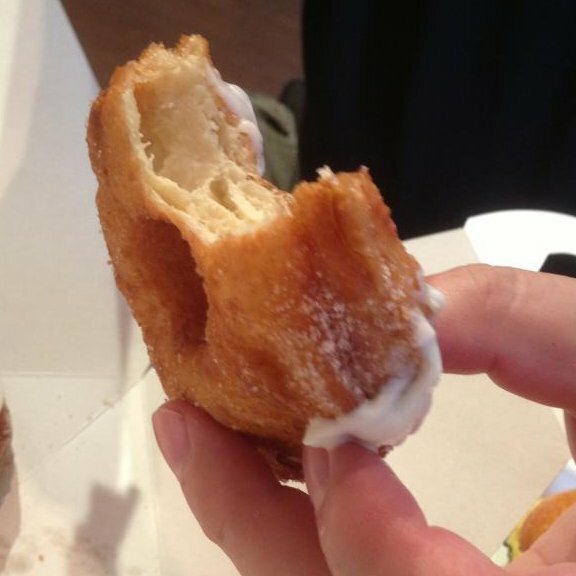 Would I stand for three hours in line for a cronut ever again? No. Was it an adventure? Yes. Did we have fun? Yes. Was it fun for all the reasons I expected. Not exactly. Christmas of 1989, my first after having moved to New York City, would have been fairly lonely had my then brand-new-beau Bob not invited me to his home in Beaver Falls outside of Pittsburgh, PA to celebrate the holidays with his family, or should I say at “Bubba’s.” That’s what his family called his mother. Bob’s father’s side of the family was Serbian, and even though his mother is a lean, wise-cracking, back-woods Kentucky woman—someone who’s real name of Katherine or “Kitty” would have suited her better—nevertheless, as soon as her first grandchild was born, she was given the nickname “Bubba,” a Serbian term of endearment for grandmothers.